Australia head coach Michael Cheika slammed Israel Folau for his recent controversial comments and insisted that the full-back will not be selected in the national squad for the World Cup scheduled in Japan later this year. Folau, who was earlier fined for his anti-gay remarks last year has now landed in huge trouble after he posted on his Instagram account last Wednesday that "Warning. Drunks, homosexuals, adulterers, liars, fornicators, thieves, atheists, idolators. Hell awaits you. Repent! Only Jesus saves." The comments from the 30-year-old copped criticism from all over the world with Rugby Australia and New South Wales Rugby Union even intending to terminate his contract. 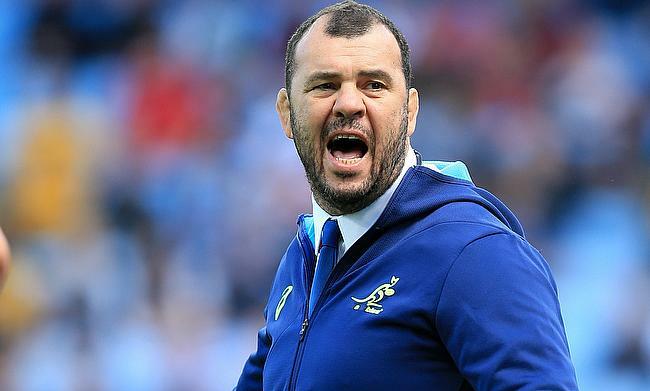 Cheika said the opinion of Folau doesn't represent Wallabies' team values and the comments from the 30-year-old were totally uncalled for especially after he received a warning last year for making similar remarks. The Wallabies boss also revealed that he tried to contact Folau since the news broke out but there was no response yet from the Waratahs full-back. Following the action from Australia and New South Wales board, Folau said he is ready to leave the game for the sake of his faith.